This past Monday were the James Beard awards in Chicago. No, I was not accepting a prestigious James Beard award for my slacker food blog. Instead, remember I have a day job as a freelance makeup artist? I did Laura Keller’s makeup (Eeek! ), Thomas Keller’s wife, and met Thomas! (Double Eeek!) I have no gossip to tell, they were a very cool couple and I was honoured to help Laura get ready for the big event. 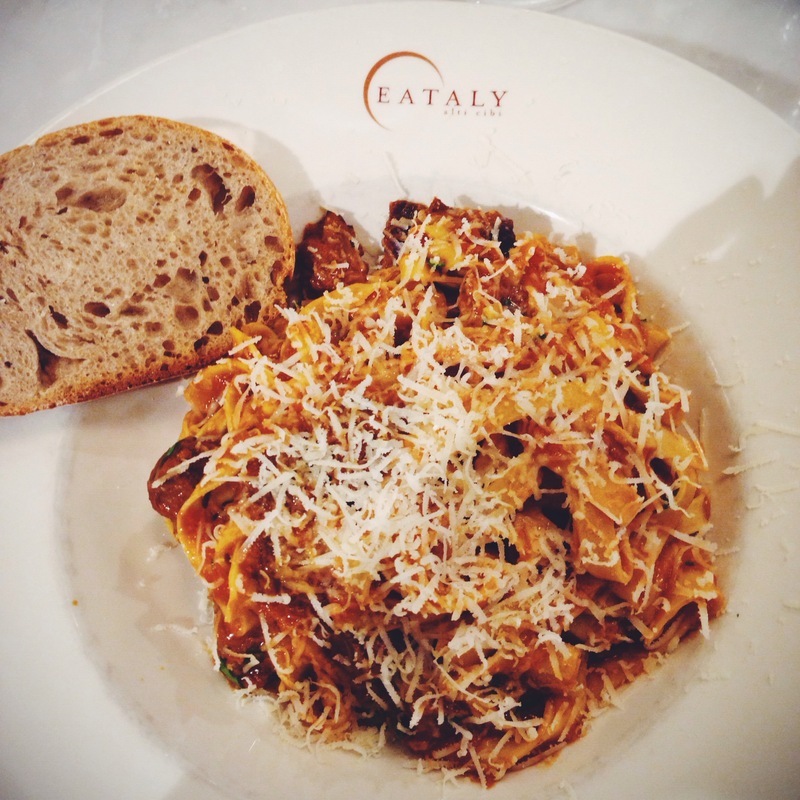 And that big bowl of hamdmade tagliatelle with braised short ribs from Eataly was my victory dinner to myself for a job well done.